MULTIPURPOSE:Suitable for Skiing, Motorcycling, Cycling, Running, Snowboarding, Trekking, Mountain Climbing, Tactical training, Hunting, Camping trip and other outdoor activities. 100% SATISFACTION GUARANTEE:Good Breathability, Absorbency, Wicking, Durability, Abrasion Resistance Anti-static function. Very Soft. Packable. Wrinkle-Free. Lightweight. Machine-washable. Keep warm and dry.If it does not help you to do what it is advertised, just return it in 30 days for a full refund. "Add to Cart" to get yours! Our balaclava is able to protect you against those factors you encounter in outdoor life.It gives you ultimate protection form cold, wind,dust,UV & mosquito bite,change the way a single exercise.Loved by the majority of fitness enthusiasts friends. MATERIAL:Good fleece fabric balaclava,dust-proof,comfortable to wear.Breathing materials can be safe to machine wash.Quality assurance does not fade, no special smell. WINDPROOF & WARM:Our windproof ski mask is nice in the way that can be used on its own or as extra face protection under your helmet in the summer for motorcycle riding or whatever else.As a winter hat also perfect for cold weather. SPECIAL DESIGN:3-in-1 design,longer neck gaiter for better wind and cold protection,you can wear them full face as face mask, running scarf,as a hood or just neck warmer. 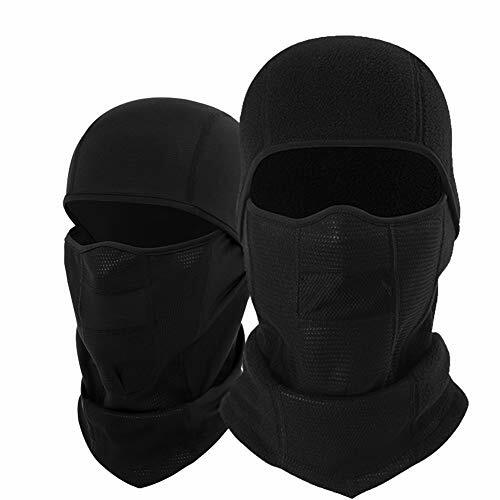 MULTIPURPOSE BALACLAVA:They are also versatile,winter wear for men,Women and Children.Suitable for outdoor Skiing, Motorcycling, Running, Biking, Trekking, Mountain Climbing, Snowboarding, Airsoft paintball, Hunting, Tactical training, Cycling and other outdoor activities. If you have any questions about this product by Lovidea, contact us by completing and submitting the form below. If you are looking for a specif part number, please include it with your message. © 2019 - megahbike.com. All Rights Reserved.